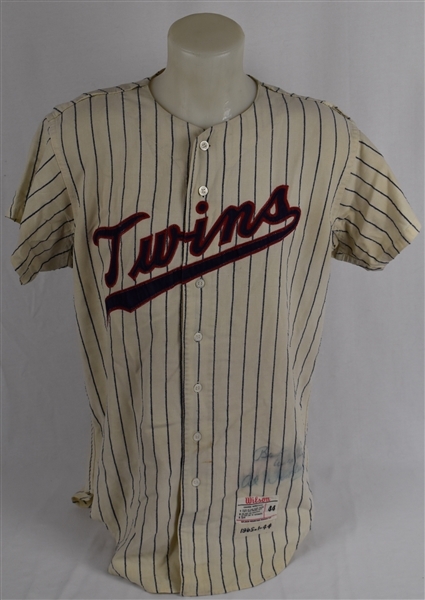 Description: Al Worthington 1965 Minnesota Twins game used flannel jersey with "TWINS" across the chest and number "15" on back are applied with blue-on-red tackle twill. 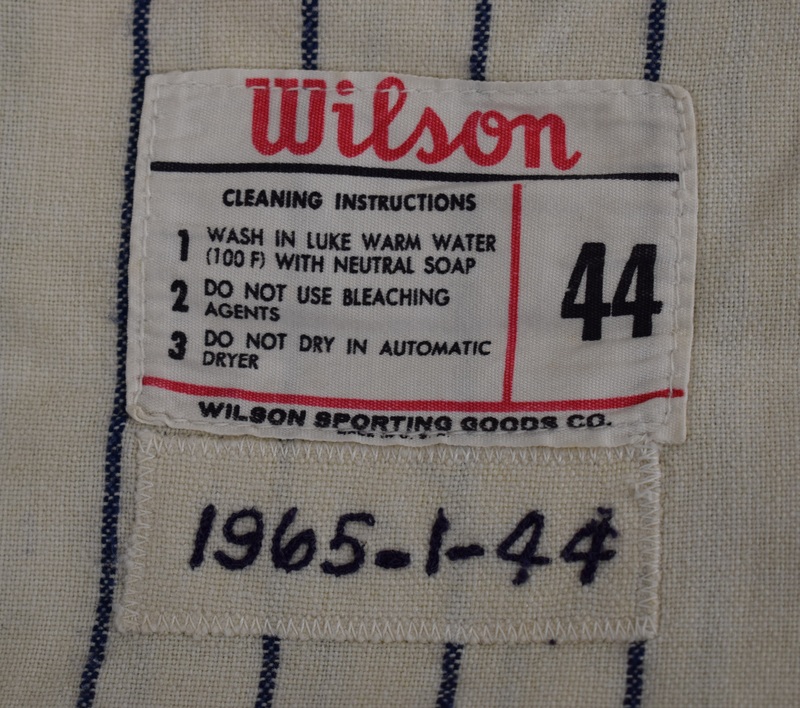 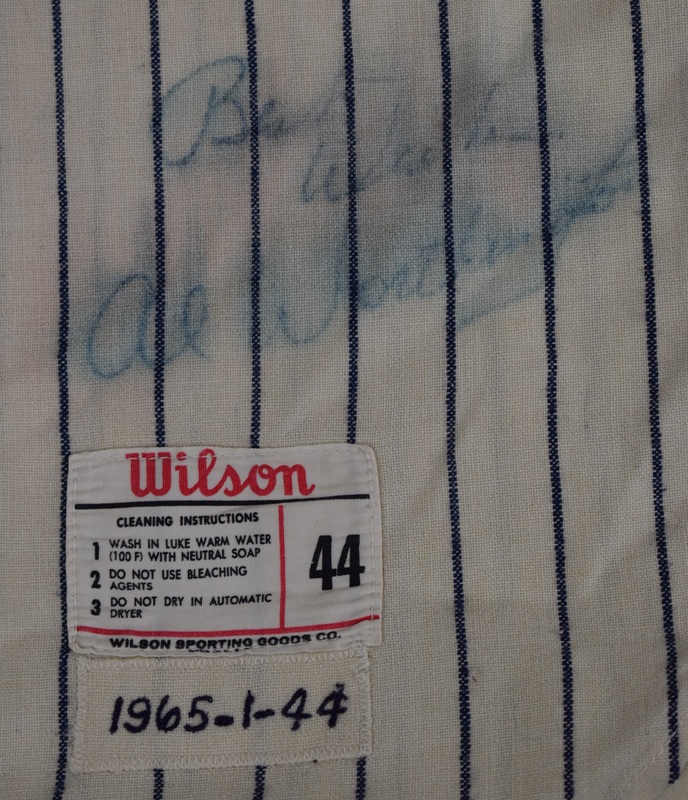 The front left tail of the jersey has the Wilson size 44 tag sewn into it as well as the 1965-1-44 year/set/size swatch and "Worthington" chain stitched into the collar. 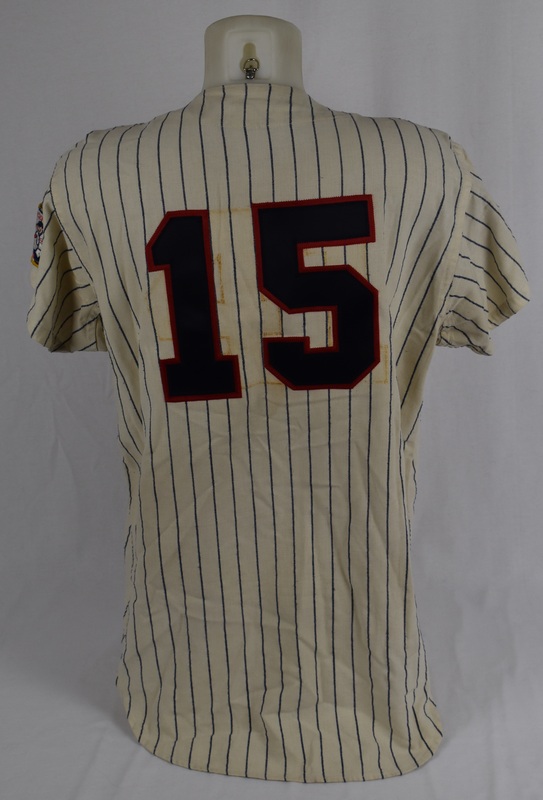 The jersey shows moderate evidence of game use. The jersey was sent to the minors at one point as was common for that era. 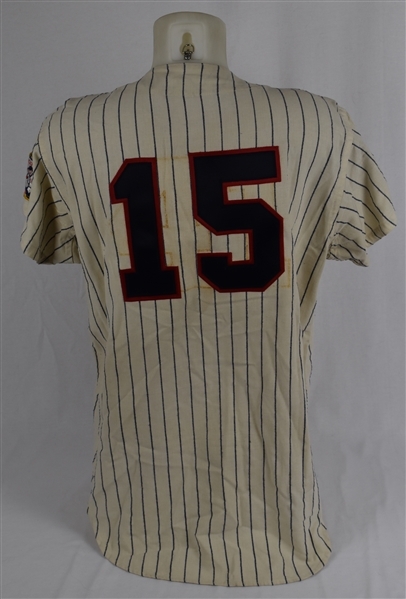 It was #4 in the minors before being restored to #15 by the Twins for Worthington. 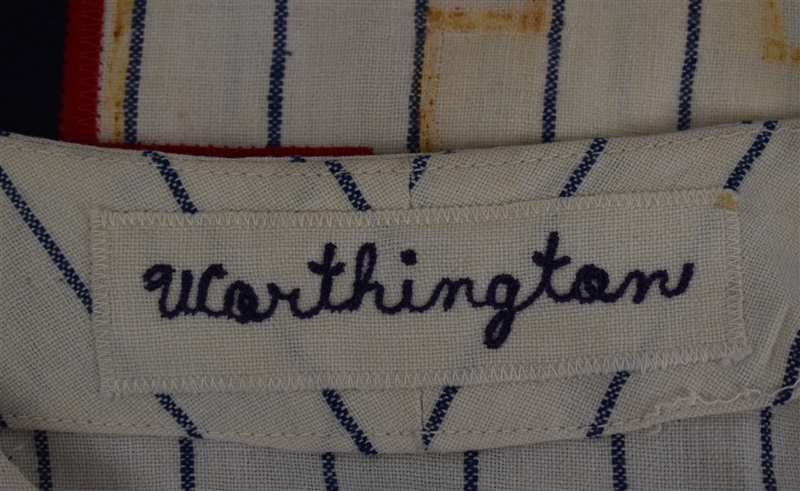 Worthington has signed the front in faded black marker. 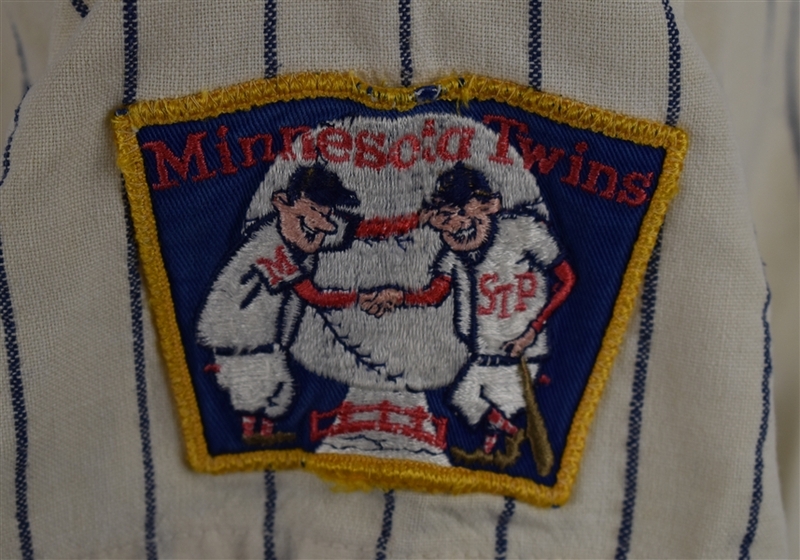 The 1965 Twins won the AL Pennant and played the LA Dodgers in an exciting 7 game World Series. Worthington was one of the best pitchers on the Twins staff that year going 10-7 with 21 saves and a 2.13 ERA. 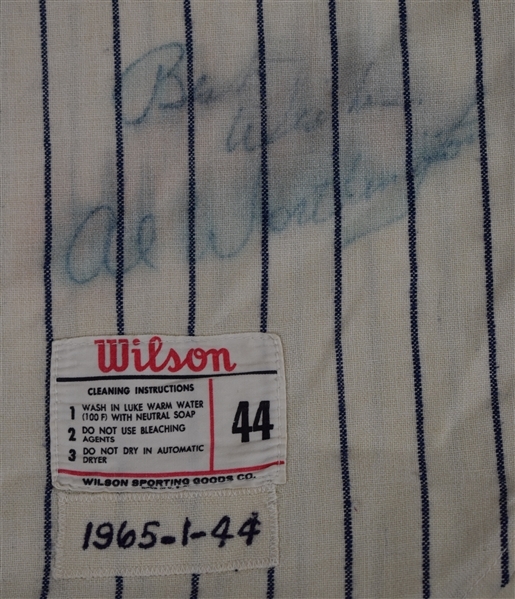 Accompanied by a Letter of Authenticity from noted game used jersey expert Dave Miedema authenticating its use. 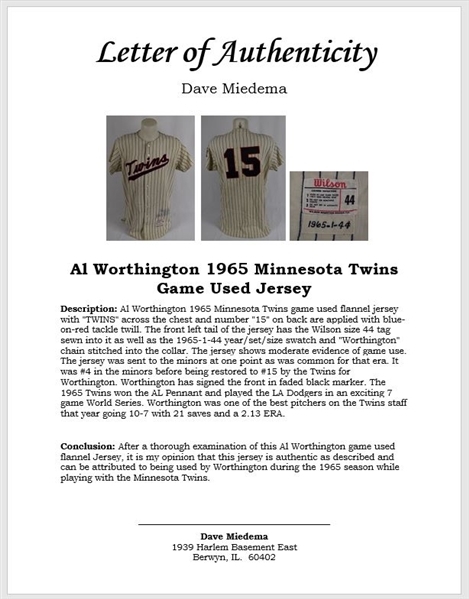 Miedema concludes: "After a thorough examination of this Al Worthington game used flannel Jersey, it is my opinion that this jersey is authentic as described and can be attributed to being used by Worthington during the 1965 season while playing with the Minnesota Twins."